Various reviewers on books that exhibit an independence of spirit. Each testifies to the range of fine writing being written and published in this imperiled day. 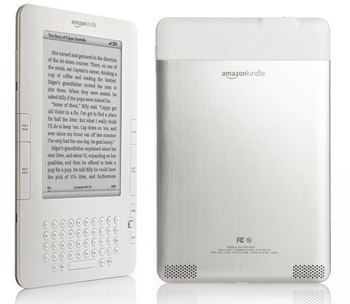 Today (Feb. 9th) Jeff Bezos, CEO of Amazon, released details on the new Kindle --creatively dubbed Kindle 2, which means now the original Kindle will forever be referred to as Kindle 1. Kindle is Amazon’s answer to a previously questionable e-book market, which began with big-fish hopes almost from the very start of the internet (of course, e-books weren’t the only hopefuls turning their bellies up in the web’s dark sea). Since the internet--really since the radio, but most recently with the internet--the death of print has seemed more and more inevitable. What actually happened was the aforementioned life-support-only, near-death of e-books and slow down of book sales. Or, to be more exact, people were just buying less books and hardly buying e-books at all. With Kindle, everyone’s going to be eco-readers soon. The publication by City Lights of Homero Aridjis, translated by George McWhirter is an event. This Mexican poet is not well known in English, but his work stands with that of Octavio Paz as one of the great poetries of Mexico.